The Gee Brothers: A Homeless Bishop? The ground was covered with a thick blanket of fresh snow. 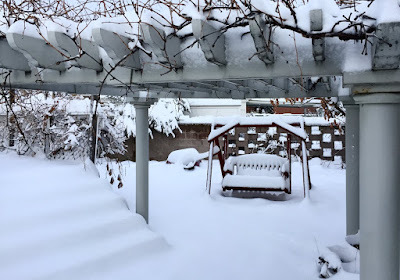 My children, natives of hot, dry Boulder City were blessed to not only have snow but a very white Christmas. A smile spread from their face to my heart, but I was a little sorrowful. My plan had been to attend church downtown at a small branch of the church, and this 9” of snowfall would make it impossible. Salt Lake is home to the most powerful leaders of the Church of Jesus Christ of Latter Day Saints. The prophet of God himself lives there, but my visit was not for the most powerful, but one whose calling is no less important. Alan Urie lives in Salt Lake City and is known to many as the homeless Bishop, not because he doesn’t have a home, but because of his calling in his church. He serves as a branch president for a branch of the Church of Jesus Christ of Latter Day Saints whose congregation is mostly made up of Salt Lake City’s homeless population. And while I was unable to visit on Sunday, President Urie was kind enough to meet me later in the week. “On any given Sunday, we have about 50 attendees,” President Urie began. “Ten to fifteen are leadership or those who have come to speak, and 30 to 35 are homeless who are living on the streets or in the nearby shelter.” As part of his calling he often works closely with the shelter and the programs they have. He and I met in the comfort of a nearby soup and salad café, but Salt Lake at this time was anything but comfortable. 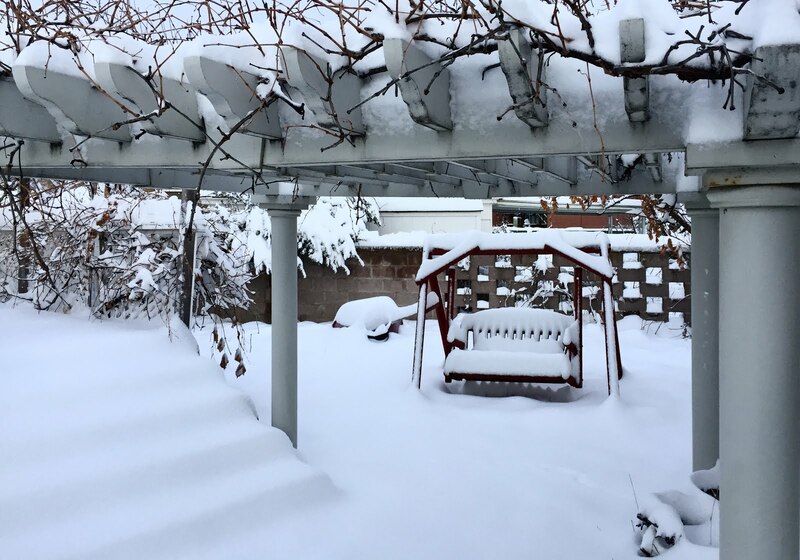 It was now a few days after Christmas, and the large snowfall mounted high as temperatures had not risen much above freezing. “The shelter has a maximum capacity of 500 but the last few nights they are close to 1,400.” He goes on to explain that this amounts to mats on a cold floor. Which may not sound nice but still beats the alternative. I ask him to explain. Theft did not surprise me, but ID theft? He paused, “Yes, in some ways." Currently, I found out that Salt Lake has proposed building 4 new shelters and closing the current one. They will be more closed, with 150 beds each, but this made me wonder, what will they do on nights like tonight, when 600 total beds does not even reach half the need? “Number one, to provide a spiritual shelter for them. Visitors always note the particular strong spirit in our meetings. We all need the gospel, but these people’s need for healing, the Savior, and his teachings, really increase the spirit in the meetings. “You say you are there to help, but can you give some specific example where you have been able to help?” I ask. “Sure,” he said, “many people think most homeless are chronically so, but an analysis was done at the shelter and showed that 70% of occupants are what we call ‘flow through,’ or people homeless for 90 days or less. So, if you can help them get out of homelessness before it becomes a chronic issue, that can be a success. One example was an older lady who came to our branch. She had lost her apartment because she was helping a relative and had given this relative access to her bank account. The person had spent all her money, and she had been evicted. So, we helped close the account, get her a new account. Then helped her get her checks going to the proper place. We then helped her find a new apartment, she lives there today and is doing well. All she needed was someone to step in and help her handle some family dysfunction. This really made me think. One of the most significant ways President Urie is able to help is by knowing and understanding what programs are out there and connecting them to those who need them. I’m not a homeless Bishop but couldn’t I do that? Those individuals on the streets may not know what programs are out there. Their access to the internet and research to discover those resources may be limited, but could I be a facilitator of good programs to those who need them? If I’m going to speak to homeless people, perhaps I should be doing more research to find what is out there that could help. That may be far more valuable than a few dollars to them. "A smile spread from their face to my heart." I love that imagery! Also, the tip about how to respond to those holding signs was very helpful. Protecting their ID makes sense. Hanging out here in Santa Cruz, I've noticed it has a HUGE homeless population, many of whom carry the most creative and compelling signs I've ever seen. I'll check for nearby backpacks on those days when I'm able to help. I was surprised what he said about that. It's the answers that surprise me that teach me the most.